(ExposeTheTPP) The Trans-Pacific Partnership (TPP) is a supposed “free trade” agreement that is currently being negotiated behind closed doors by officials from the United States and 11 other countries: Australia, Brunei, Canada, Chile, Japan, Malaysia, Mexico, New Zealand, Peru, Singapore and Vietnam. The Trans-Pacific Partnership (TPP) has been under negotiation for 5 years. Even though the agreement is classified as “free trade,” it only has 5 chapters that specifically deal with traditional trade issues. The remaining 24 chapters would set rules on non-trade matters that affect our daily lives, such as: food safety, internet freedom, medicine costs, job off-shoring, financial regulation, and more. Our domestic policies would be required to comply with TPP rules. The public, Congress & the press cannot see the draft TPP text, although more than 600 official corporate “trade advisors” have access. The Obama administration plans to sign TPP sometime in 2014. Fast Track is the mechanism that will allow the Obama administration to circumvent constitutional checks and balances to ram the TPP through Congress—just like his predecessors did with NAFTA and the WTO. The TPP would require us to import meat and poultry that do not meet U.S. food safety standards. The TPP would require us to allow food imports if the exporting country claims that their safety regime is "equivalent" to our own, even if it violates the key principles of our food safety laws. These rules would effectively outsource domestic food inspection to other countries. The TPP's procurement chapter would require that all firms operating in any signatory country be provided equal access as domestic firms to U.S. government procurement contracts over a certain dollar threshold. The United States would agree to waive "Buy American" and "Buy Local" procurement policies for all such foreign firms, eliminating an important policy tool to use U.S. tax dollars for U.S. job creation. Remember SOPA - the "copyright" legislation before Congress last year that public outcry stopped cold? Well, the same corporations behind SOPA have pushed to insert its most pernicious provisions into TPP. Says who? The organizations that stopped SOPA like the Electronic Freedom Foundation and the ACLU. The TPP would provide big banks with a backdoor means of rolling back efforts to re-regulate Wall Street in the wake of the global economic crisis. The deal would require domestic law to conform to the now-rejected model of extreme deregulation that caused the crisis. The TPP would forbid countries from banning particularly risky financial products, such as the toxic derivatives that led to the $183 billion government bailout of AIG. The TPP could sharply increase U.S. exports of natural gas - creating incentives for more fracking. The Department of Energy could lose its authority to regulate exports of natural gas to countries that have signed a "free trade" agreement with the U.S. that includes "national treatment for trade in gas." The TPP could eliminate the government's prerogative to determine whether the mass export of natural gas to TPP countries - including Japan, the world's largest natural gas importer - is in the public interest. The resulting surge in natural gas exports would not only raise gas and electricity prices for consumers, but would ramp up the dangerous, chemical-laden practice of fracking. By making it easier for U.S. corporations to offshore decent jobs to low-wage countries, the TPP would accelerate the "race to the bottom" spurred by other free trade agreements, such as the North American Free Trade Agreement (NAFTA), putting downward wage pressure on U.S. workers while facilitating corporate exploitation of foreign workers. TPP includes the same incentives and protections for off-shoring as NAFTA, such as special investor rights that eliminate many of the risks and costs associated with relocating jobs to low-wage countries. The TPP would include rules limiting how governments may regulate the service sector - utilities, transportation, education and more. These rules would cover all services, except those exclusively offered by the government without a fee for use, unless a government negotiates an exception. That means public utilities would be covered, because fees are charged, and services provided both by governments and private firms would be covered by TPP rules. Among the rules are a requirement that private firms be allowed to enter a country and compete under rules limiting governments' ability to apply needs tests and other common policies aimed at ensuring broad access for consumers. The TPP is not just one of the biggest “trade” deals in U.S. history, but also one of the most secretive. After more than five years of negotiations under the Obama administration and despite a plan for the deal to be signed by early 2014, the press and public are still being denied access to the draft TPP text that, if enacted, would impact our daily lives. The TPP’s secrecy threatens basic democratic principles. Even our representatives in Congress – elected as caretakers of the domestic policies that the TPP would rewrite – have been denied access to the TPP text for years. Only recently have they been allowed to see select chapters, unaccompanied by staff, and under the condition that they not share what they read with the rest of us. The question that begs to be asked: If the TPP is such a ‘win’ for the average American, why has the draft text been shrouded in such secrecy? 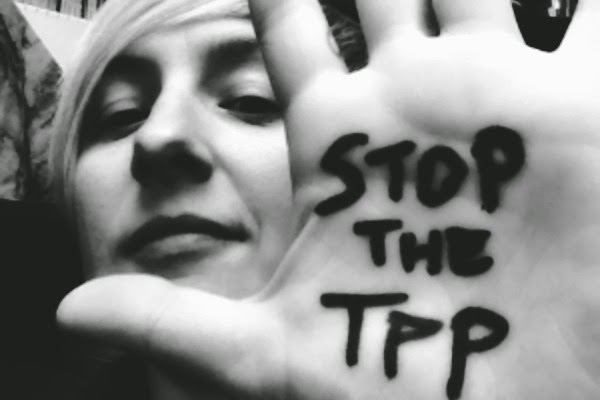 It’s not too late to take action and stop the TPP. Have a look here for straightforward tools to stop this agreement in its tracks. Through the power of numbers—and making our voices heard—we can defeat the this freedom-stripping legislation.